Boston Common Podiatry, Skin & Wellness offers non-invasive, non-surgical aesthetic enhancement treatments that help you achieve the best version of you. We offer procedures like scar reduction using Cutera XEO laser technology. Now you can work on yourself without missing a beat. Our procedures come with zero downtime, and most can be administered during your lunch hour. 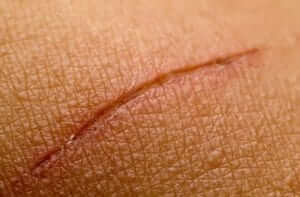 According to the US National Library of Medicine National Institutes of Health, in the developed world at large, about 100 million medical patients acquire scars. Patient scarring comes as a result of an estimated 55 million elective operations, 25 million operations after a traumatic event, 11 million keloid scars, and 4 million burn scars. This isn’t even counting acne scarring. In this day and age, there are ways to diminish the appearance of unwanted scarring and skin blemishes without risking further injury or additional abrasion. Instead, Boston Common Podiatry, Skin & Wellness offers innovative, non-surgical aesthetic enhancement treatments for patients who do not wish to undergo cumbersome surgeries with extended downtime attached. Our treatments are usually finished up within a typical lunch hour. Then you can go on with your day without having to curb activity to recover. Simply put, Cutera XEO equals healthier, more vibrant skin. Improve blood circulation at a skin surface level and boost much-needed collagen production for youth-extension results. Boston Common will put a plan in place to achieve the skin you’ve always wanted. The cost of treatment will vary from patient to patient. No two scars are the same, so no two treatments will be the same. Larger scars will take more treatments to glean desirable results. We give you the concentrated, compassionate care you need at Boston Common Podiatry, Skin & Wellness. We custom tailor our non-surgical laser acne scar procedures and medspa therapy to suit your individual needs.